And then there was the time when Eliana wasn’t on the stage but in the audience, smiling silently—she couldn’t speak yet—as an impromptu troupe of CHLA nurses danced and serenaded her, hoping the healing power of music would help a little girl who’d been fighting for her life almost since the day she was born. Eliana had a stroke at the tender age of 4 ½ months, which doctors determined was caused by a malignant brain tumor. Though she had already faced a potentially fatal brain cancer before she was even half a year old, Eliana had always kept up a positive attitude—and never stopped chasing that magic she found in every performance. Years of treatments finally made a difference, and in 2016, doctors decided she’d likely beaten the cancer and could lead a mostly normal life. “She was doing ballet, just being a normal kid,” says Girish Dhall, MD, director of the Neuro-oncology Program at Children’s Hospital Los Angeles and one of Eliana’s doctors since she was a baby. But disaster struck that November. It turned out that fluid had built up inside Eliana’s skull (called hydrocephalus) and was pressing on her brain, causing a number of complications that now threatened her life. Her heart stopped, her lungs stopped, and she was put on a ventilator. Doctors told the family that it was only a matter of time. “We were told she had hours left,” Samantha says. But Eliana hung on. 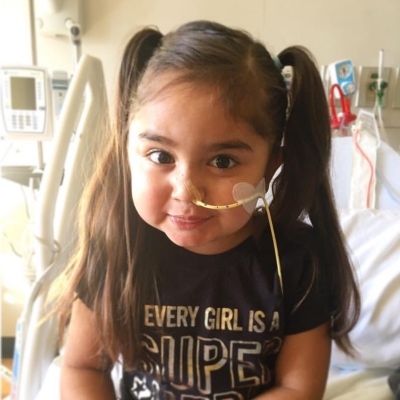 In December, she woke up and opened her eyes in the CHLA Pediatric Intensive Care Unit—but had lost the ability to talk or swallow. She was going to have to learn to control her most basic functions all over again. “They taught her how to sit up again, how to move her head, how to stand,” Samantha says. Most importantly, the nurses at CHLA reminded Eliana to take joy in life again, hanging out with her, painting her nails and finding something special to do for her every day. Knowing just how much she loved music and dancing, all the nurses on the floor practiced a routine that they performed for her for the Christmas she had to spend in the unit. Eliana had survived, but there was still hard work to be done: 13 specialists, seven or eight appointments every week, constant trips to L.A. from Santa Barbara, months of slow and painful rehabilitation, getting around while bound to a wheelchair, having to spit into a can, and taking every meal through a gastronomy tube. But worst of all, Eliana had to give up dancing—no more flamenco classes, no more dance breaks. Just learning to walk again. “Dr. Dhall? We have a very close, close, close connection with each other,” Eliana says, sounding more like a millennial than a 9-year-old. 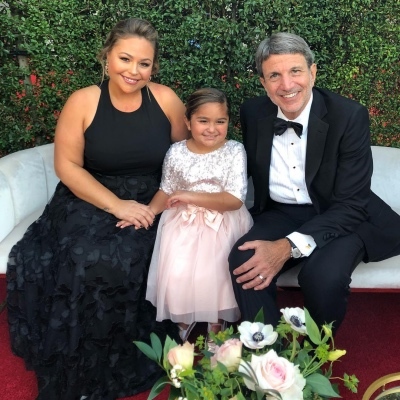 In October 2018, she’d recovered enough to accept a special invite to “From Paris With Love,” CHLA’s biennial gala, and Samantha just knew her daughter had to attend. But the magic had just begun. Eliana and her mother walked the red carpet and Eliana did her own red-carpet interview, was “beyond excited” to meet Jimmy Kimmel, Samantha says—and got to sit at a table right up front by the stage. At this point, of course, Eliana hadn’t danced for over two years, but it came back to her, with Pharrell’s help. “They were just dancing and dancing, and I was just crying,” Samantha says. When the song was over, Eliana, out of breath, asked to take the microphone. After the gala, word of the touching moment spread, and Eliana appeared on news shows and was even reunited for another dance-off with Pharrell on “The Ellen DeGeneres Show.” She’s walking now—and occasionally dancing, again. Eliana’s also decided what she wants to be when she grows up: a doctor or nurse who helps babies and children. “She wants to take care of kids when she grows up because of what she’s been through,” Samantha says. 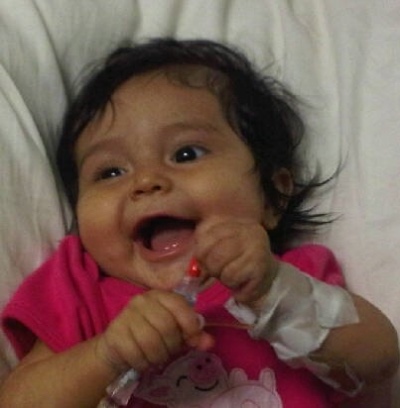 To help kids like Eliana, consider making a donation to Children's Hospital Los Angeles. Visit CHLA.org/Donate.